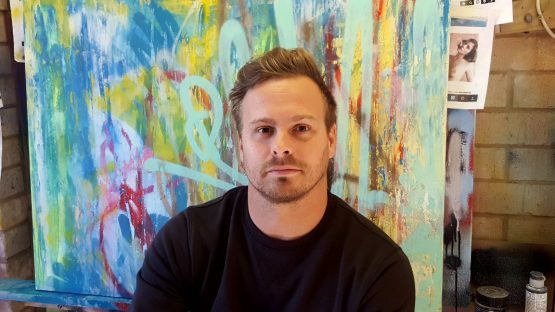 Adam Craemer is a South African-born and Perth-based artist who channels his influences from the graffiti art culture of Cape Town into a mixture of urban, street and abstract art. Craemer produces mixed media pieces that are a combination of various methods such painting, spray-painting, screen printing, paper shredding, ink, marker pens and epoxy resin – all of these techniques gloriously clash together in Adam’s work, resulting in extremely detailed compositions that surprise viewers over and over again regardless of how many times they have looked at it. This ability to constantly dazzle audiences is a direct result of Adam’s intent described by the artist as such: I like to mark the pieces in such a way that allows the viewer to see new marks and new complex lines every time it is viewed. Born in Durban South Africa, Adam Craemer immigrated to Western Australia with his wife in the early 2000s and emerged as an artist shortly thereafter. As mentioned earlier, his main training and influences come from the graffiti art culture in Cape Town – however, living and traveling experiences helped as well as Adam visited many places in Europe and Asia prior to his arrival in Perth. The most direct link to the street art world is Craemer’s use of the spraypaint that can be seen in the majority of his works. As soon as he arrived in Perth, Adam started working on a style that he described as Urban-pop – a practice that saw him create paintings that are at once sharp, realistic portraits and dynamic experiments in color, rhythm and texture. 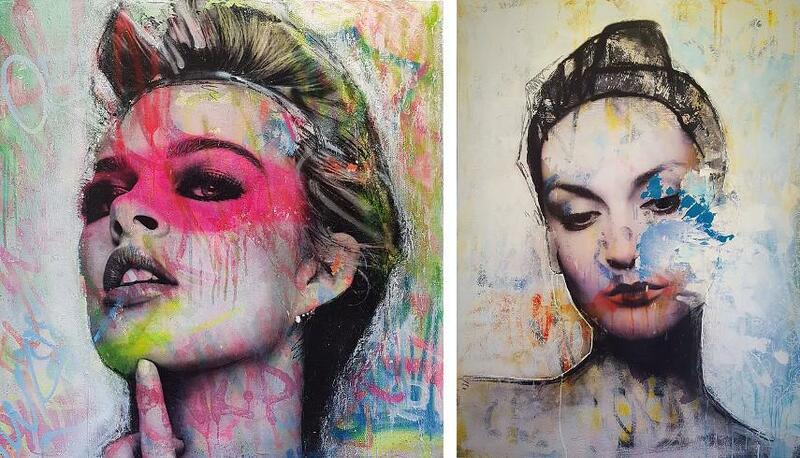 As you can instantly see when viewing his artwork, Adam Craemer based his creative practice on producing portraiture. The models for these paintings are usually found online or are pictures of clients. After the model’s face is shifted onto the canvas, Adam begins to make his own mark on the piece by adding unsubtle touches of abstraction, covering the portrayed faces with swarms of colors, lines and stains. It should be noted that, although such an approach sounds a bit chaotic, Adam Craemer never loses control over his abstract compositions and every artwork appears to be created in complete control despite the fact one could easily forfeit artistic authority with such a practice. Even though it appears that Adam’s technique is quite well established already, this artist is not yet satisfied. Every time he works on a new piece, he combines recently discovered techniques along with those already in existence in order to push his style further. It can even be said that experimentation is a vital piece of Adam Craemer’s practice as he sees absolutely no need to stubbornly stick to already tested methods. By doing so, Adam Craemer makes sure his work remains fresh and pleasing to the audience, which is always a quality any artist would like to possess. 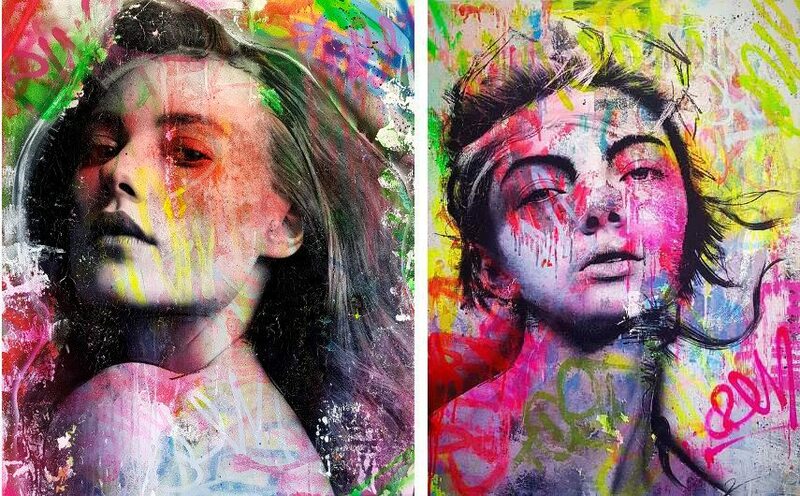 This artist is represented in Singapore by Addicted Art Gallery. Adam Craemer lives and works in Perth, Western Australia. All images courtesy of Addicted Art Gallery.